Remember how the Klingons looked like dudes with bushy eyebrows and brown makeup in the original Star Trek series? Now, think about how they turned up in the films and later TV shows completely altered to have forehead ridges and other changes without any explanation. Detail oriented fans must have had a collective aneurysm that day, as one was lead to believe that fans were supposed to think “just pretend they always looked like this”. Fans made all sorts of theories on these discrepancies, books were written, and the producers had to FINALLY take care of the canonical issues in an episode of Star Trek Enterprise. 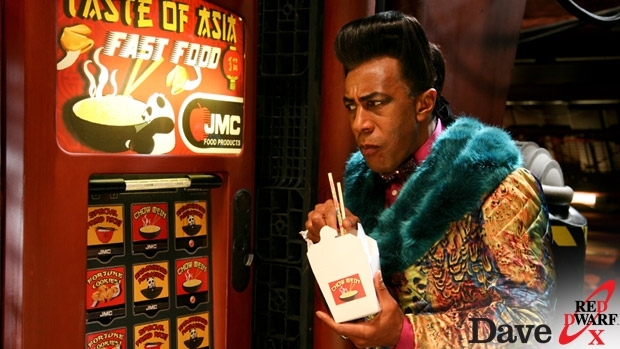 Red Dwarf is different though; it isn’t one of those shows that always attempts to “clean up” instances of bad continuity between episodes, in fact it pretty much revels in it. In fact, there have been some real champion-level shenanigans placed into episodes. Take the Series VII episode “Ouroboros”, where the writers employ a brain killing paradox wherein Lister is revealed to be his own biological father. The episode we are looking at today can be seen as a sequel of sorts to that episode, as we see Lister struggle with the relationship between himself and his father. Confused yet? Good! The episode opens with Lister filling out a Father’s day card for himself causing Rimmer great annoyance. It seems that every year he gets totally hammered on cheap booze and writes himself the card, this way he forgets what he wrote. Rimmer, in one of his few profound moments, asks why Lister should even like his father, considering he left him abandoned in a pub with only a rattle and a cardboard box. Lister is visibly shaken by this and feels that his son hasn’t lived up to his expectations. After talking with the ship’s medi-bot, a holographic projection of a doctor, he is given the advice to employ “tough love” on his son. There are two side plots in the episode, one that is pretty major and one that really isn’t. Getting the small one out of the way first, we have the crew pondering whether the game “Chinese whispers” (called “telephone” here in the U.S.) is racist because it assumes Chinese people can’t spread rumors well. This plot was funny, but completely non-essential to the main storyline. The main secondary plot involved Rimmer and Kryten installing a new computer system to replace Holly. Pree, the new system, is so powerful that it can predict what the crew is going to do. The programming is so good that when asked to fix a number of problems, Pree anticipates that Rimmer would make errors in ordering repairs, and so wreaks havoc on the corridors as he would have unwittingly ordered her to. This escalates as Lister gets drunk and resigns thus rendering their mission “go back to Earth” obsolete – Pree decides to destroy the ship instead. The part where Lister resigns was awesome, as it was beautifully written despite the fact that it was literally Craig Charles talking to himself. Taking the “tough love” approach to heart, daddy Lister leaves a video for himself. When he watches it he realizes that he is disgusted with his own behavior – he is lazy and has no motivation. Lister orders himself to take responsibility and enroll in classes on the ship to move up in rank, and to get a tooth pulled that he was been putting off. Lister blows “his dad” off only to find a second message that escalates the situation, then a third, and a fourth. It seems that drunk Lister knew he would not do what he asked and took charge by punishing him via throwing his prized guitar outside and other punishments. Lister replies with “ You don’t understand me, and I hate you”, pretty hilarious if you ask me. The jokes were pretty awesome in this episode. While I grew tired of the running “Chinese Whispers” gag, the payoff was pretty good in the end. My favorite gag was easily Rimmer asking Lister “what’s that whining sound?”(referring to a noise the ship was making), with Lister replying “it’s you, you’re talking!” I was worried that the joke style would be more like seasons VII and VIII, where they relied too much on fart humor and randomness, but this is classic Red Dwarf at its best. I think the small budget and the need for more “talky” episodes because of that lent well to the style of this episode being more “old school”. My only quibble was possibly the characterization of Pree, seeing as there was a similar episode way back in series two involving a back-up computer called “Queeg”. While he wasn’t as harsh as Pree, and was actually just a prank by Holly to make the crew appreciate him, the similarity is there. I guess I should mention that Pree was played by Rebecca Blackstone, a lesser known American actress who seems to be doing some voice work lately. Not only is she “easy on the eyes”, but she does a good job of being cold and robotic in the role. The only other guest actor was “Medi-bot” as portrayed by Kerry Shale. Known for voice work and some minor roles in film and television, he is an actor that I’ve seen before but haven’t seen enough of. So there we have it, another solid episode from the cast and crew. One would have thought that would be a little “ring rust” on everyone getting back into the swing of things, but nothing like that seemed evident here. Seeing all these computerized talking heads around the ship like Medibot and Pree made me realize how much I miss the character of Holly, and wish Norman Lovett would bury the hatchet with Doug Naylor and come back. Hell, I’d enjoy a return by Hattie Hayridge even though she only briefly did the role. So there we have it, one of the more complex Red Dwarf episodes – the kind I love! I bought this Blu-Ray on Amazon, maybe you should as well! And if you do, use these links, as you are helping this site! 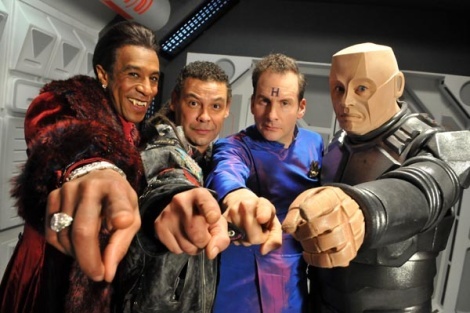 Red Dwarf is one of those shows that you are either going to love or hate. If you like your sci-fi bleak and dark like the fad seems to be these days, you may not like Red Dwarf as it pokes fun at itself at every turn. Much Like the Hitchhiker’s Guide series, Red Dwarf likes to be as self-referential as possible and generally mock other sci-fi tropes. Things like unnecessarily complex time travel situations, parallel universes, and genetically engineered monsters are all par for the course. When I had heard that we would see more Red Dwarf after such a long hiatus, I was ecstatic as I have been a huge fan of the show for quite a while. But was ten years too long to wait? When we last left the crew of the mighty mining vessel Red Dwarf, things weren’t going so well. Rimmer was about to die, and the rest of the crew was stuck in a parallel universe as the titular ship smoldered to a crisp. With an unresolved cliffhanger like that, pretty much anything would be hard to follow up, especially after such a large break. The producers and Writers of Red Dwarf came up with something ingenious and in tone with the show, by having a “missing season” thus, not actually resolving anything at all. Many questions persist at the beginning of Back to Earth like: Why did Ace Rimmer go back to the Dwarf, and re-join the crew as Arnold Rimmer? What Happened to Kochanski? I guess we’ll never know, and that makes me chuckle. 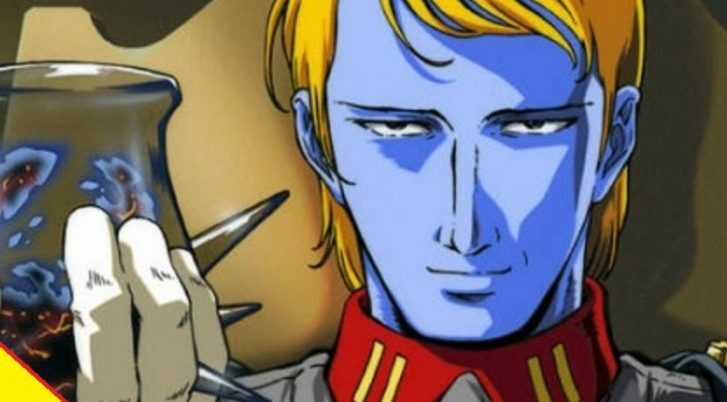 With a show that had a main character turn out to be his own father and other such shenanigans, what more would I expect. The story of Back to Earth takes place some nine years after we last left the crew. Everyone is back aside from two notable exceptions. Holly, the deranged ship computer (played by Norman Lovett or Hattie Hayridge respectively) has gone out of commission after Dave Lister, the show’s main character, left a bath running for nine years which fried Holly’s electronics. Kristine Kochanski, the shows on-again and off-again love interest for Dave is dead, and Dave has matured from the experience. After a run-in with a sea monster that had stowed away in the ship’s water supply, a hologram other than Rimmer appears claiming that Rimmer has put the crew’s lives in danger for the last time, and his holographic life is to be decommissioned. She also decides that Lister needs to find a mate, and orchestrates a dimensional jump to take Lister Back to Earth. 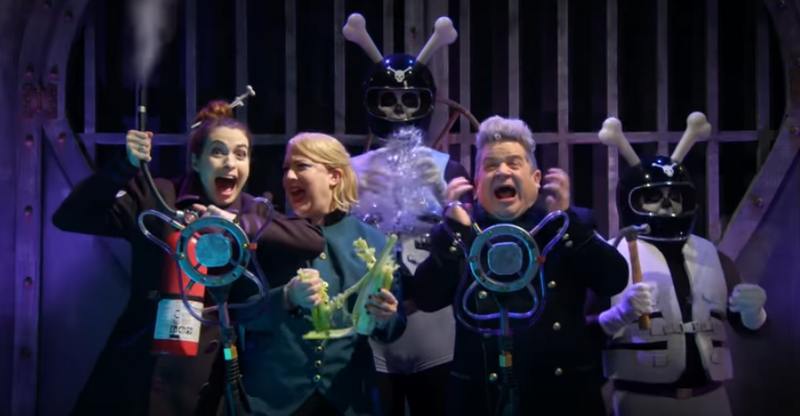 Earth is not all it is bargained for, as the crew finds out that they are from a parallel dimension and are in fact, characters in a TV show called Red Dwarf. On a storyline basis, Back to earth is a really good aside from a large stylistic change. 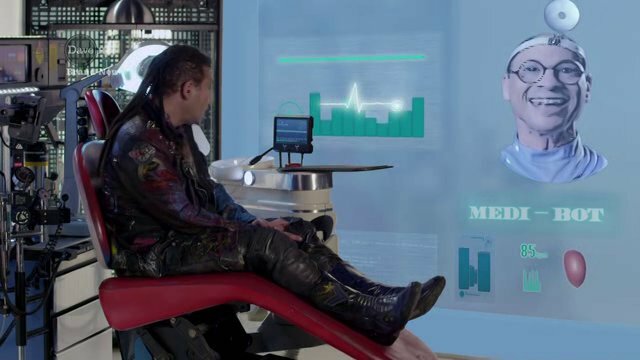 Rather than the joke a minute tone of older seasons, there are a few somber moments where Lister is on the brink of sadness due to his diminished status as a fictional character. Aside from the drama, we also see home old-school sci-fi action, in the guise of homage to the film Blade Runner. A few scenes were either directly or indirectly based on scenes from the popular Harrison Ford film, all the way down to costuming. While these stylistic changes seem a bit in contrast to the show’s normal format, but work in the context of this special. 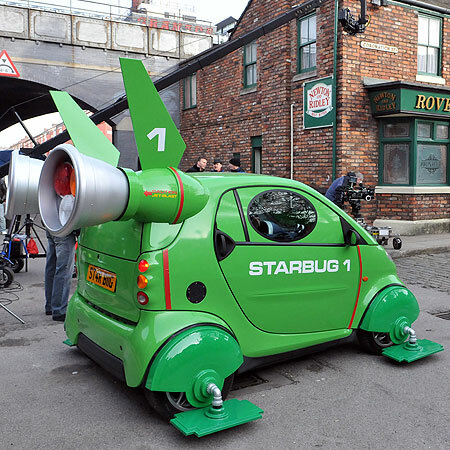 Carbug is definitely a silly addition, here’s hoping it stays on, if more episodes are made. 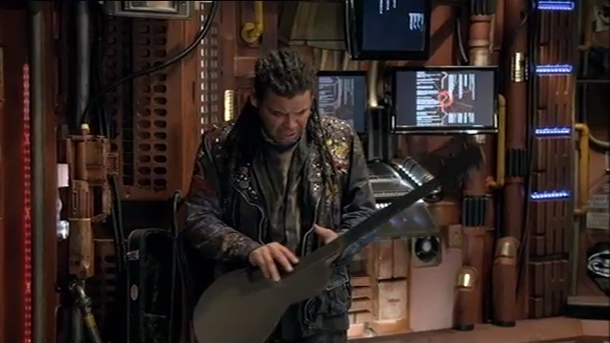 On the technical side, Red dwarf has never looked so good. While shot on a shoe-string budget, the show has never had such well utilized computer generated effects, and other touches, and a lot of that has to do with the new HD camera that the crew used during the filming. During the making of segment at the end of the disk, we were shown how a few shots were done using this new camera system, and it was truly awesome. All In all, Back to earth was a good episode, but I would recommend it as a feature length viewing session. 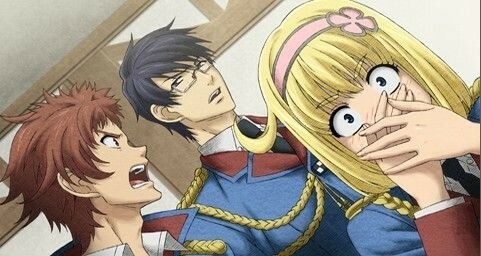 Split up into three parts, the story structure seems to front loaded with jokes and padded in the middle with drama. As a movie, which is what I believe the original intention to be, this series really shines, and may usher in a complete re-birth of the show if rumors hold any water.